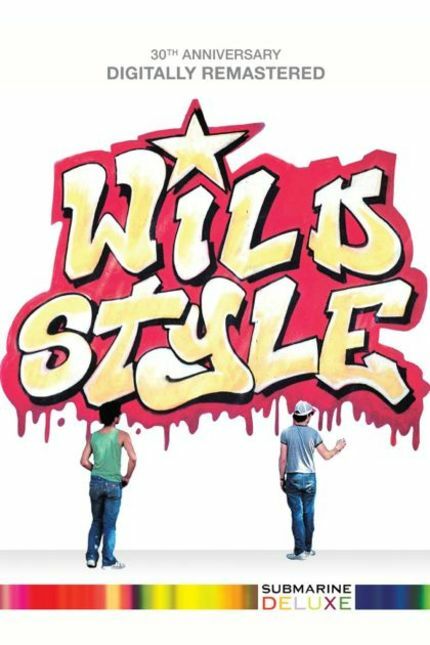 No history of hip-hop is complete without mention of Wild Style, which marks its 30th Anniversary via a two-disc deluxe DVD release from Music Box Films. The film combines break dancing, the tagging of Lee Quinones, and the musical exploits of Grandmaster Flash, Fab Five Freddy, Rock Steady Crew and the Cold Crush Brothers. Because this film is so important, the challenge will be more difficult than usual. Shoot me a short (1-2 minute tops but no minimum length) hip hop vid explaining why you deserve a copy of this monumental movie. 1. Keep it old style. Winners announced one week from today. Winning videos will be posted.